Bail Reform. What is it? Pros and Cons. If you pay attention to national news you have likely heard the phrase “bail reform.” So what is bail reform? Is bail reform changing how the bail process works in Cleveland? Is this a national change, a state-wide change or can local courts determine if they want to keep the bail system the way it is or reform it? Over the past few years several states and local jurisdictions have gone through some form of bail reform to get rid of “money bail” or “cash bail,” two phrases referring to the payment required for a person to be released from jail as they await court hearings, or pretrial release. Why Do We Have the Current Bail System? What’s the Purpose of Bail? Innocent until proven guilty – sounds reasonable enough. However, there are typically months between when an individual is arrested and when they stand trial for the crime – so does a potential criminal go free during this period? Are innocent people waiting for their trials in jail cells? Will the guilty return for a trial knowing the likelihood of a conviction? Enter the bail system, a solution to this problem that has been in place since the Middle Ages. Bail allows people to leave jail and continue their lives while awaiting trial. There are many types of bail and in general the accused who are not released on their own recognizance will usually pay some amount in cash bail, or money bail – an amount of money that is deposited with the court to ensure that you show up for all court proceedings. If the defendant does not have enough cash to post the entire bail, the court will accept a bail bond. If the defendant doesn’t show up, the court may keep the bail and issue a warrant for the defendant’s arrest. Critics of the bail system complain that hundreds of thousands of legally innocent people are held in jails on any one day because they can’t afford to pay bail. They complain having a bail system based on currency favors the wealthy who can afford to pay bail, whereas middle class citizens will work with a bail bond company and the poor are often left behind bars because they cannot afford to pay bail bondsmen in order to be released. Under the current cash bail system, people charged with a crime can sit in jail for months, and sometimes years, without seeing a judge because they can’t afford bail. Bail reform legislation is promised to eliminate the practice of money bail, requiring counties to develop pretrial services agencies and so-called “risk assessment tools,” or tech analyses, to determine which criminal defendants pose a threat to public safety or are at risk of not returning to court. The potential problems with these risk assessment tools are limitless. With an algorithm, created by a software company, determining which defendants should be released back into the general public and which defendants should remain in jail until their trial, some fear it would enable an increase in pre-trial incarceration. There is wide-spread agreement that cash bail is a fundamentally flawed model that potentially lead to forcing low-income defendants to spend months or longer behind bars without a conviction – disrupting their lives, causing job loss, loss of parenting rights and many times keeping innocent people from advancing in their pursuit of happiness. They’re often pressured into guilty pleas in order to get out of jail and back to their lives. There is little consensus, however, about the best replacement. Since 2014, New Jersey and Alaska have enacted reforms that have abolished cash bail for the majority of cases. These states now give defendants a supervised release or mandatory detention, with the conditions determined with a risk assessment. California plans to eliminate cash bail entirely as of October 1st, 2019, replacing it with a court-determined risk assessment of the individual defendant. New Jersey eliminates most cash bail, leads nation in reforms. 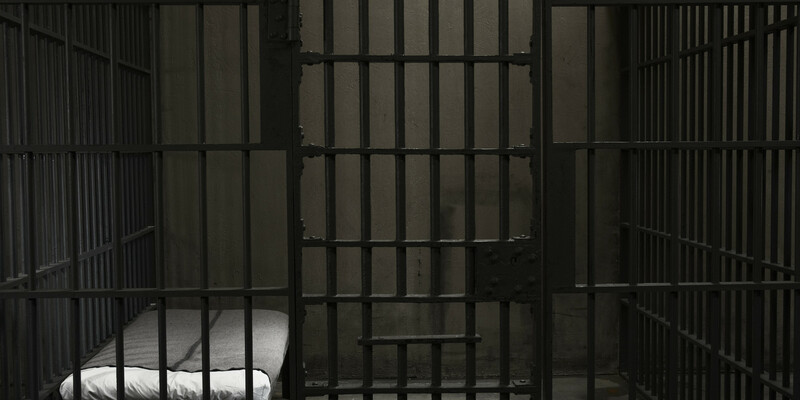 ← Cleveland Bail Reform: Detainees’ Deaths Illustrate a Broken Bail System?